Is it a bird, is it a plane? Choose your superhero and get scribbling to solve that crime! 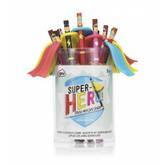 Tub of 12 fantastic pencils in 3 fun designs with eraser capes. 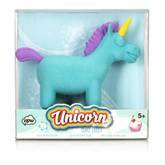 Our adorable unicorn eraser makes a unique addition to any desk. 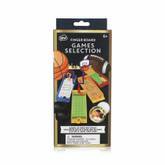 Turquoise with a golden horn and pink mane, this giant sized eraser is made from solid rubber and will correct any mistakes or blunders like magic. 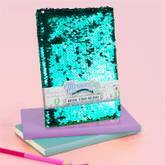 Summon some magic to your writing with this beautiful sequin notebook. With a fascinating cover that changes from sea green to silver, this is not your average notebook. A5 size with 80 lined illustrated pages, this is the perfect accessory for the mermaid in all of us. 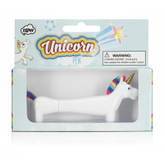 Add a magical touch to your pencil with this delightful unicorn pencil topper from NPW. Need a Mermazing update to your stationery? Shell yeah! 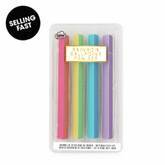 This four-pack of soft touch ballpoint pens are adorned with positive mermaid slogans to ensure you seas the day and feel beachy. In ocean inspired colours with silver print, pens write smoothly in black ink. 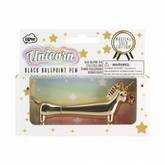 Make all your writing magical with this gold edition unicorn pen. Stuart fans rejoice, our favourite unicorn is back for AW18 and he's had an upgrade. Now in gold, this brilliant pen will add a touch of luxe to any desk. 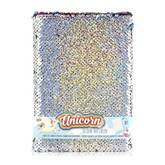 Plush stationery and reversible sequins are big news, this A5 notebook ticks all the boxes for sparkle hungry unicorn fans. Holographic silver sequins on one side give way to rainbow sequins on the other, just stroke to reveal your favourite look. 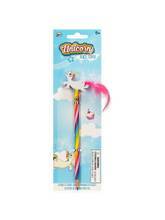 Make your memos more mystical with our magical unicorn pen. 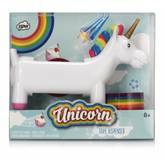 The white unicorn has a multicoloured tail and mane and will stand proudly on your desk. It has a golden horn and writes in black ballpoint ink. Would you like to see nature close up? 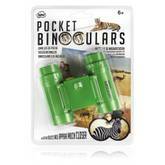 Explore the amazing world around you with our Pocket Binoculars and discover detail invisible to the naked eye. Powerful optics reveal clear sharp focus at 30x magnification making distant objects appear much closer. Neck strap included. Take it easy, Lofty and Lola have got it covered. This sassy desktop toolkit will make sure you’re prepared for any administration situation, no Llama Drama. 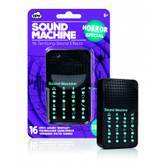 Kit contains stapler, staple remover, paper clips, scissors and push pins. 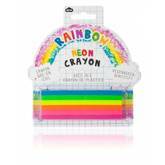 Draw a perfect rainbow in one swift move with our giant neon rainbow crayon. Made from 6 crayons in neon colours spanning the rainbow from pink through to blue, this is a failsafe way to draw the perfect arch. 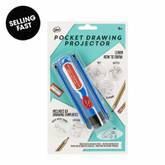 A novel and exciting way to develop drawing skills, this Pocket Drawing Projector from our inspiring Explore & Discover range lets your child project six images onto paper which they can then trace over, letting them practise art anywhere. 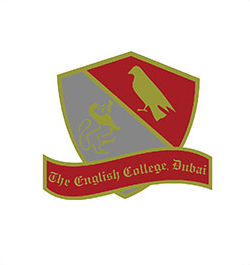 Practise drawing a tree, bicycle, elephant, shark, horse and car. 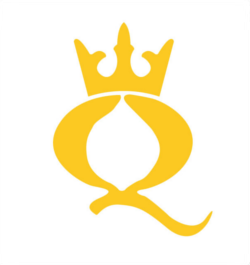 You might be standing above buried treasure and not even know it. 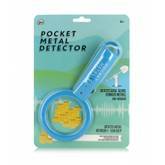 This mini metal detector is conveniently pocket sized for on-the-go exploring and lucky hunters could discover gold, silver, ferrous and non-ferrous metals up to a depth of 5cm. 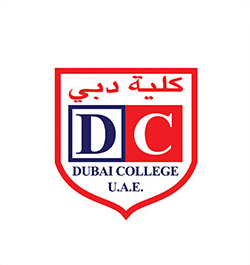 Have you ever studied a leaf close up? 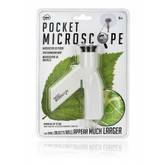 Explore the amazing world around you with our handheld microscope and discover detail invisible to the naked eye. 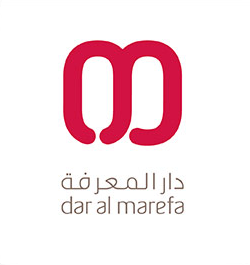 Powerful optics reveal clear sharp focus at 30x magnification. Suprising and effective images will fascinate young scientists. No batteries required. 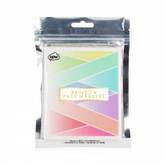 This cool squishy pouch with holographic finish is perfect for storing all you stationery treasures. Watch the twinkly glitter float around in the magical liquid. With a pink zip for easy access you'll have the most 'mermazing' pencil case in class. What the fluff? Lola, Lofty and all your favourite Famalam expressions in a sassy set of mini erasers which fit neatly in your pencil case. No Prob-Llama, change your ideas and doodles as often as you like. 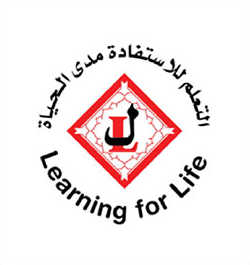 Pack contains 6 different designs. 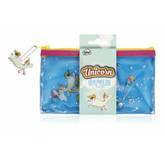 This cute unicorn pencil case is perfect for storing all your stationery essentials. 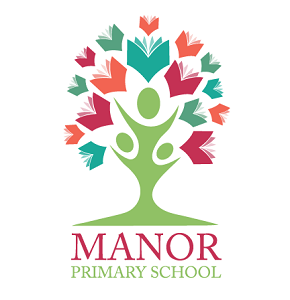 Watch the twinkly stars, rainbows and flowers float around in the magical blue liquid. 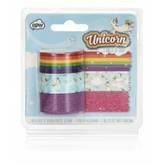 With a pink and yellow zip for easy access and a fun unicorn zip-pull, you'll have the most coveted pencil case in the class. 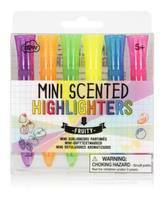 Give your desk a fresh and breezy feel with this soft touch pen set. With a powdery rainbow palette and triangular barrel in two tone colours, these ballpoints write in smooth black ink and are a pleasure to use. Pack contains 4 pens. Wrapping and crafting simply doesn’t get better than this. Our friendly narwhal looks adorable on your desk and comes complete with holographic blue tape which can be dispensed to your required length and cut safely and easily. What the fluff? Looking for somewhere stylish to store your favourite stationery? 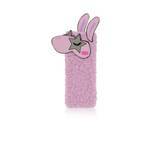 In a fabulous purple fur finish and wearing Lola’s signature sunglasses, this Famalam Llama pencil case with pom pom zipper is perfect for all your sassy essentials.